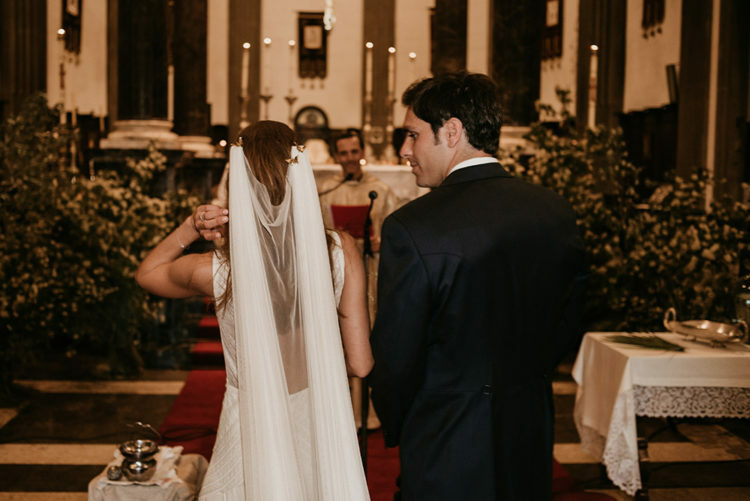 There is something so charming about an authentic Spanish wedding in Barcelona. 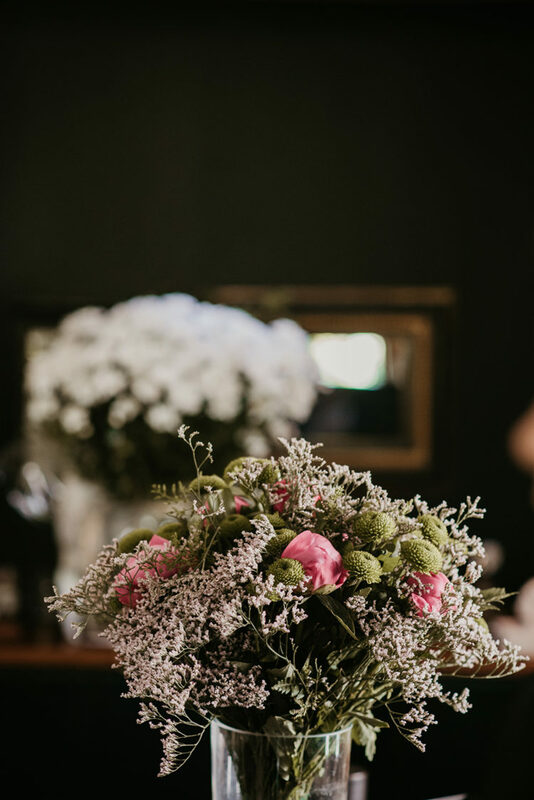 It can be dreamy attire, a gorgeous location or intimate vibes of the ceremony. Let’s take a look! 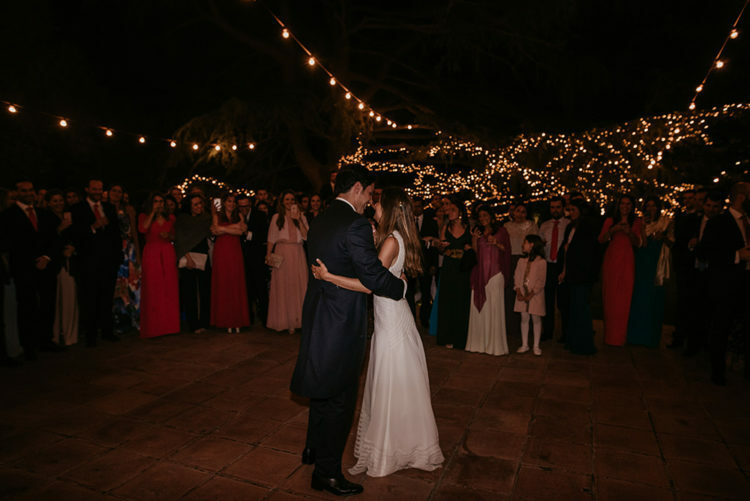 The bride was wearing a modern A-line sleeveless wedding dress with a touch of sparkle. The back was a cutout one of a geometric shape. She was rocking waves down and a veil plus stylish metallic mules. In the evening she covered up with a neutral pashmina. 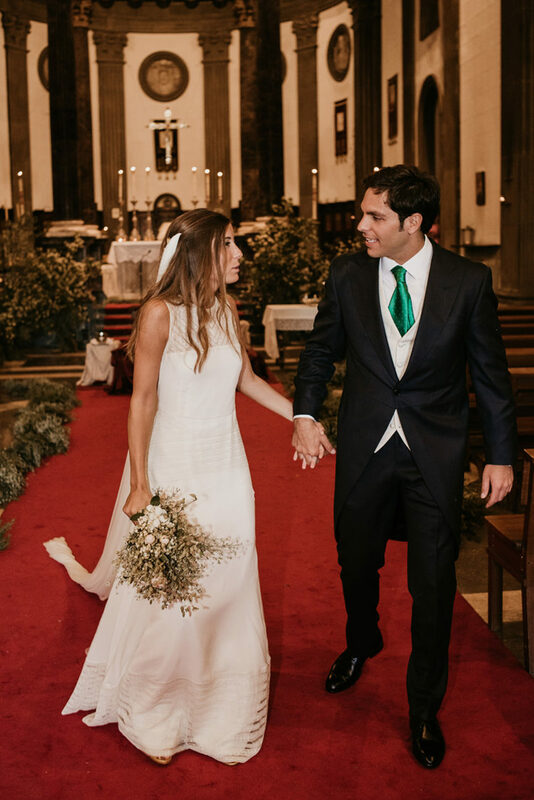 The groom was wearing a formal grey morning suit with a creamy waistcoat and an emerald tie. 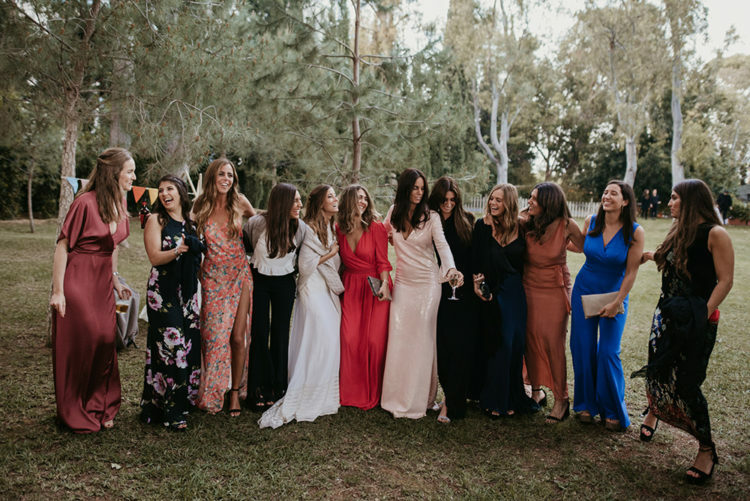 The bridesmaids were wearing mismatching maxi dresses, plain and floral ones. The wedding ceremony took place in a church. 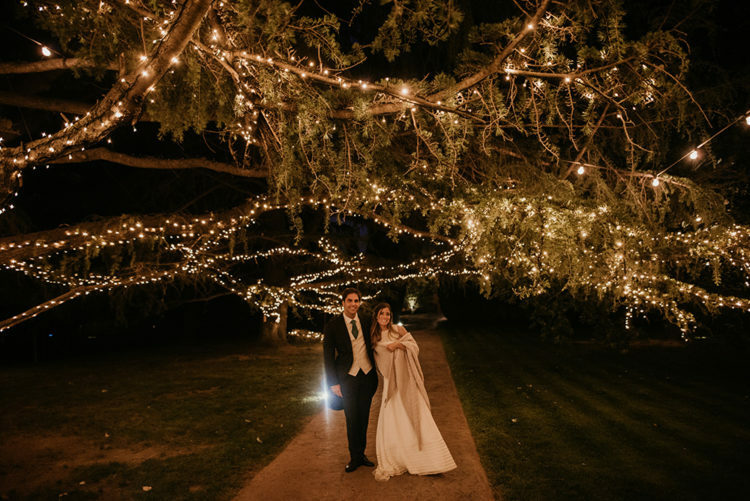 The reception took place in a beautiful venue with a cool garden, which was intensively decorated with lights. 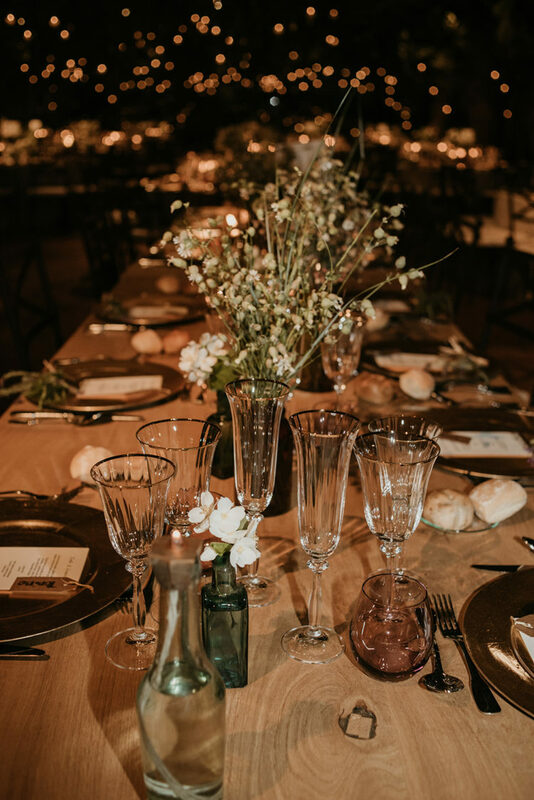 The venue itself was also filled with lights, and the decor was simple with a rustic feel: centerpieces were made of blooms and greenery, often baby’s breath, neutral stationery and elegant cutlery and porcelain helped creating a chic look. 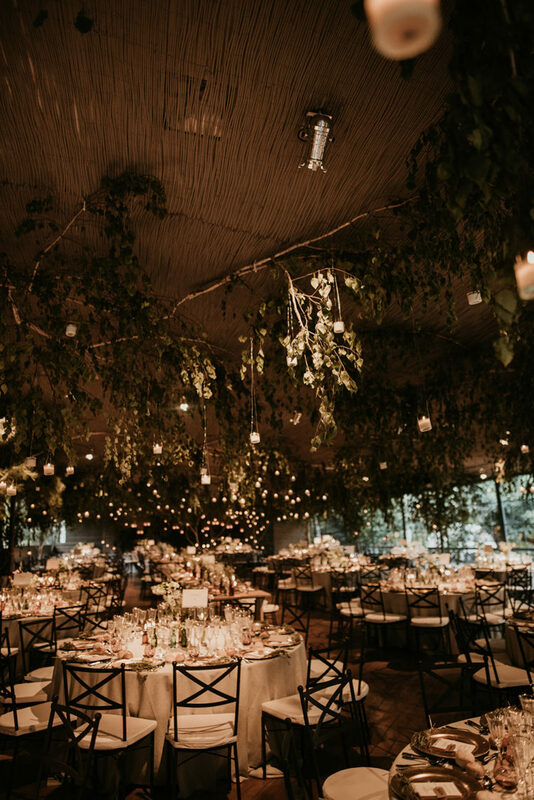 The ceiling was decorated with lush greenery hanging down from it and some lights. 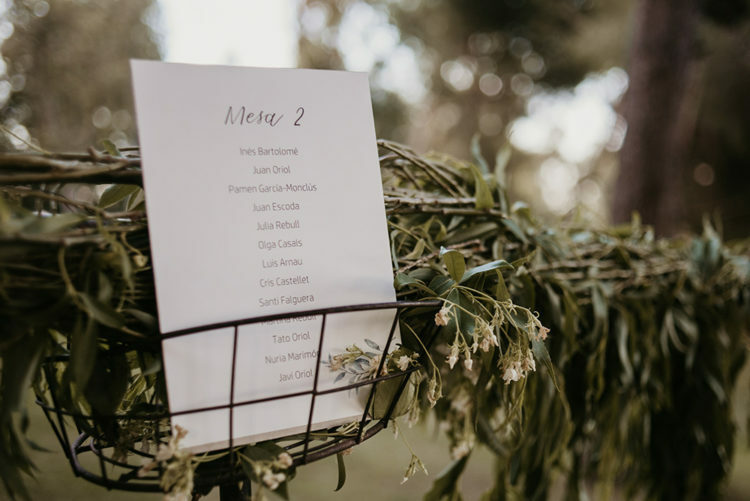 I totally love the rustic and natural feel of the wedding reception: much greenery, little blooms and uncovered wooden tables create an authentic Spanish feel at once. 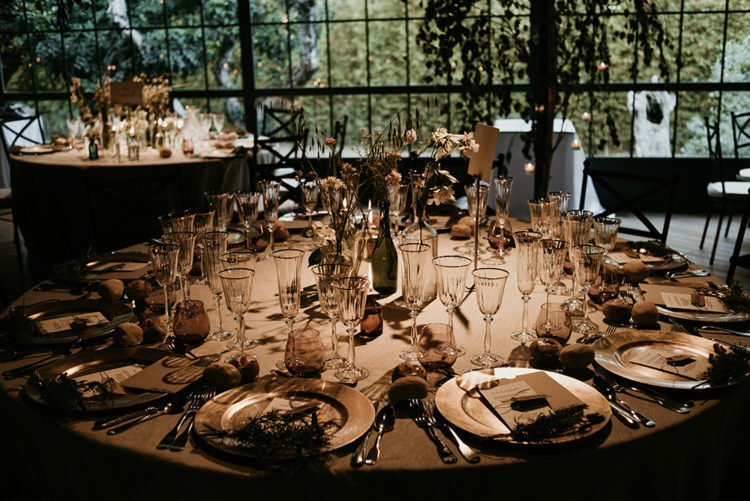 Take a look at this stylish wedding and get inspired to steal some ideas for your own one!